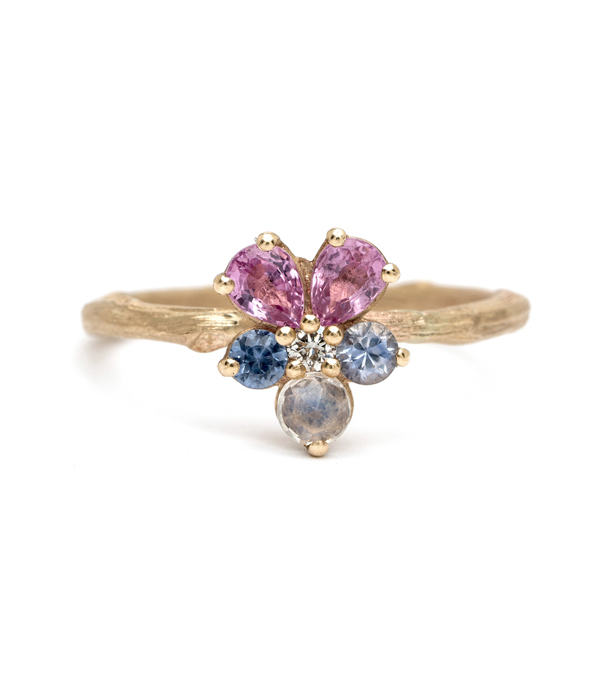 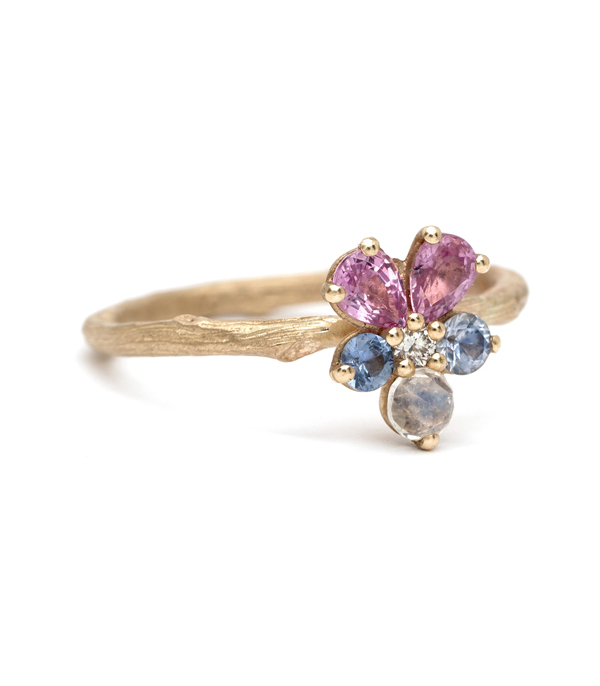 Our 14K matte gold signature twig band is accented with petite gem-set pansy featuring pink and blue sapphires, a twinkling diamond (0.05 ct) center and dreamy blue moonstone accent. 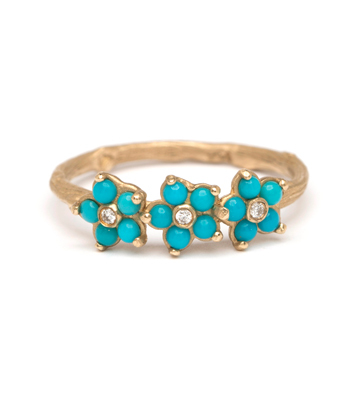 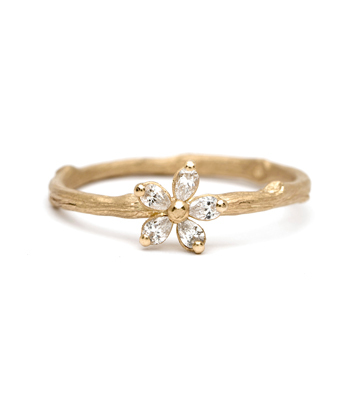 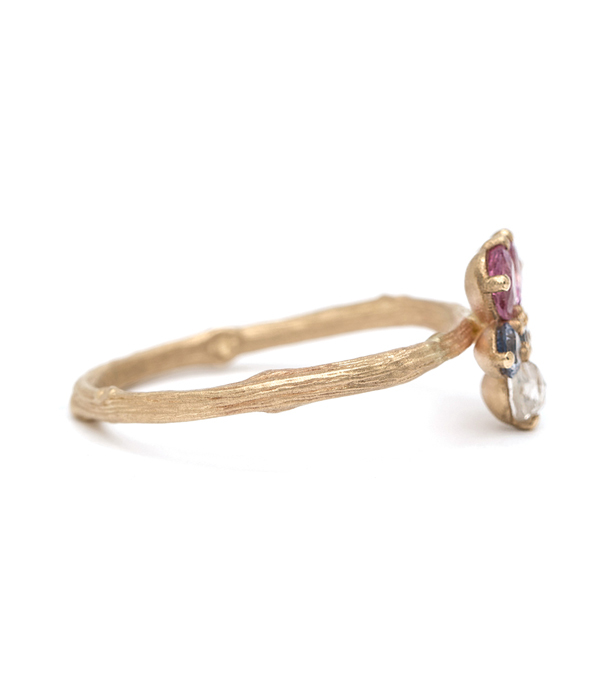 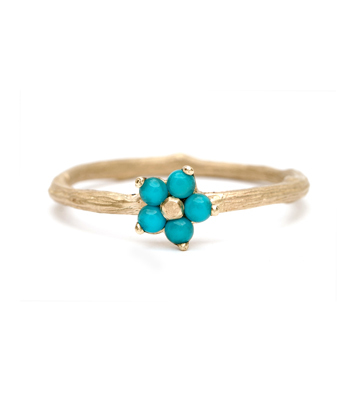 We think this colorful and charming stacking ring makes a perfect gift for a treasured friend or loved one alike. 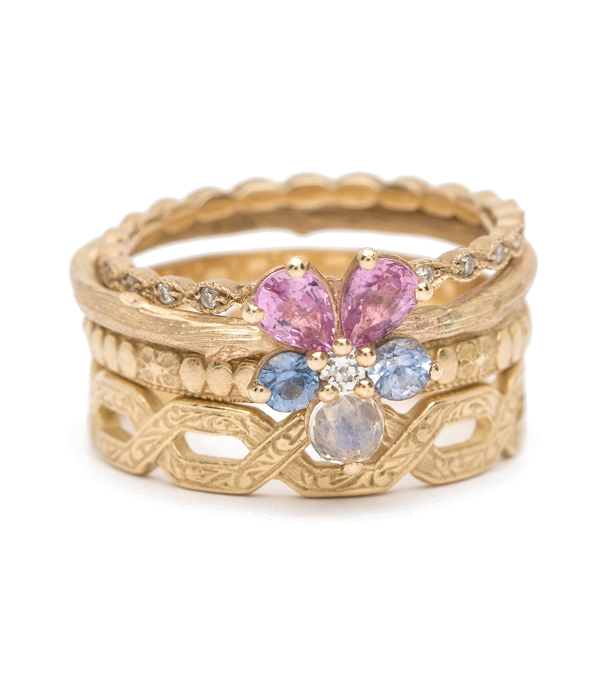 Categories: Bohemian Elegance, Language of Flowers, Natural Beauty, Rings, Stacking Rings.